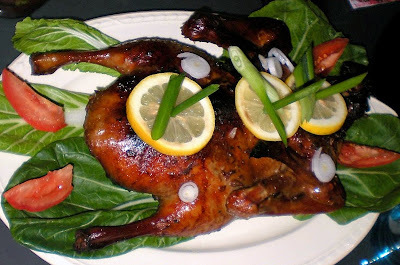 I always thought to cook duck very difficult and cost alot of energy.. but yes She has changed my thought.. PREPARE this a night before !!! 2. In a sauce pan put all ingredients, slow heat , stir once in a while ... in a very low heat until its boiled. 7. 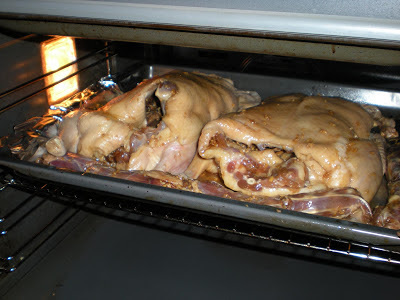 Put the duck in Grill mode , for 2 hours ..
8. Put the duck in cooking rack over the baking pan. And Voila !! You can start the dinner :-) ..